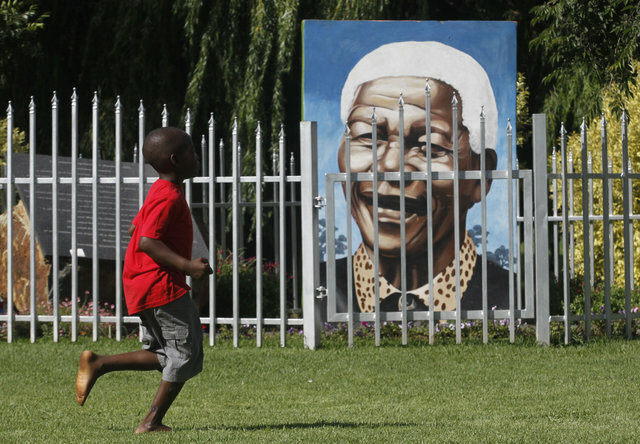 What will become of South Africa after Mandela? Since early summer, Nelson Mandela has been in and out of the hospital. At 94, he is suffering from a host of maladies that are common to the aging process. Like all of us, he is dying, but at a somewhat accelerated pace. As the poets suggest— in every person&apos;s passing we are all diminished. And in Mandela’s case, his death not only diminishes us as a species, but it could also radically effect the political landscape of a country he loves and literally helped create. Many political observers feel that Mandela’s passing will remind the people of South Africa of two unassailable facts: that real progress has been made, and how much there is yet to be done. Today, thanks in great part to Mandela’s political and economic initiatives as well as his moral leadership, South Africa is on the mend. Unemployment has been cut in half, discrimination in housing, education, and health care have been addressed head on. Tourism has radically increased. And, South Africa is now a serious player in the global marketplace. But underneath all of this there remains racial discord and anger, deep wounds and memories of Apartheid past, and a lack of confidence and trust in the future. The simple fact remains, that economically, politically, and socially, South Africa is a work in progress. Nelson Mandela is a lawyer, a revolutionary, a political organizer, a convicted felon, winner of the Nobel Peace Prize and the first elected president of the new South Africa. But more than just a leader, Mandela is the spirit and the symbol of Black and White African freedom, unity, and justice. He is loved, admired, and touted. He is, in the eyes of most of his people, the Washington, Lincoln, and Gandhi of South Africa.